With our quotation tool you can build your very own mailing bag right away! 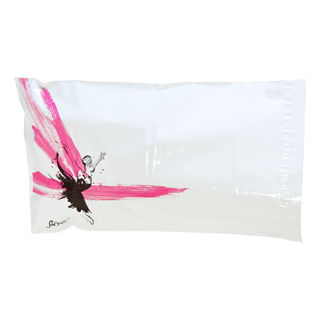 As the leading supplier of printed mailing bags in the UK, we offer a range of postal packaging solutions in a number of styles designed to match your requirements. Are you paying the lowest possible price for your mailing bags? New customers buy from us because we save them money. Do you regularly send products to your customers in the post? If you’re a business that does, ensuring your packages stand out from the rest can be a great opportunity. 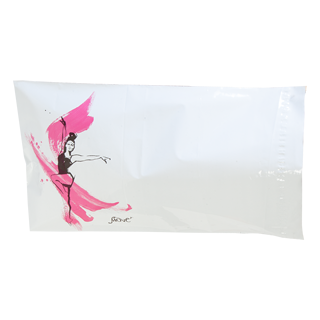 Many businesses send their packages in plain envelopes, so with our mailing bags branded with your logo or brand identity, when you’re posting your products, you can be sure they will catch the eye of both your customers and everybody along the way. 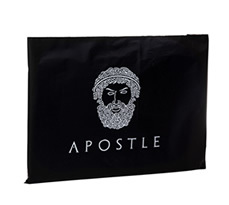 Our printed mail bags can be great for your business as they are bespoke with each design tailored to your requirements and available in a number of styles, sizes and colours. 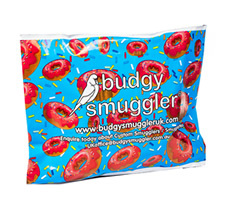 Made in the UK from a flexible polythene material they are weatherproof, waterproof, and tear resistant. 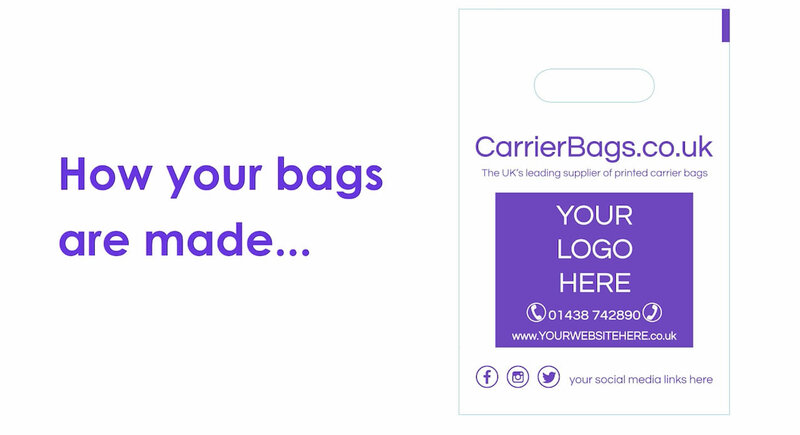 With a minimum order of just 500 bags, we can turn your mailing bags within 7 days so you can quickly use them as a great promotional tool when posting your products to your customers wherever they may be in the UK or around the world. 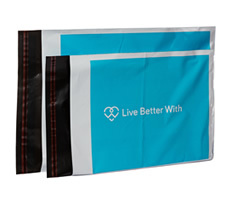 Stand out with Printed Mail Bags - Don't get lost in the post! We can all be guilty of judging a book by it’s cover, forming opinions and initial perceptions of something within the first minute, and if that’s the case then why not make your cover something to remember? Which kind of bags do we offer? 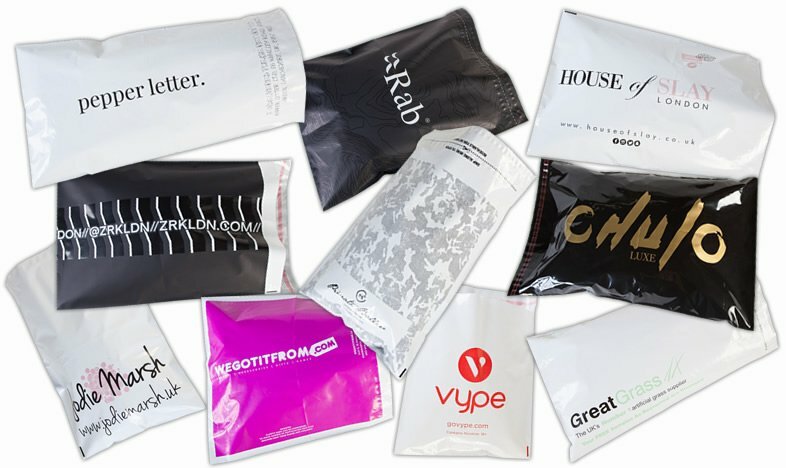 Our printed mailing bags can help you to develop brand personality connecting a positive experience of opening a purchase with your brand with unique, bespoke, and eye-catching graphics. Are you in online retail and sending out large or expensive items? 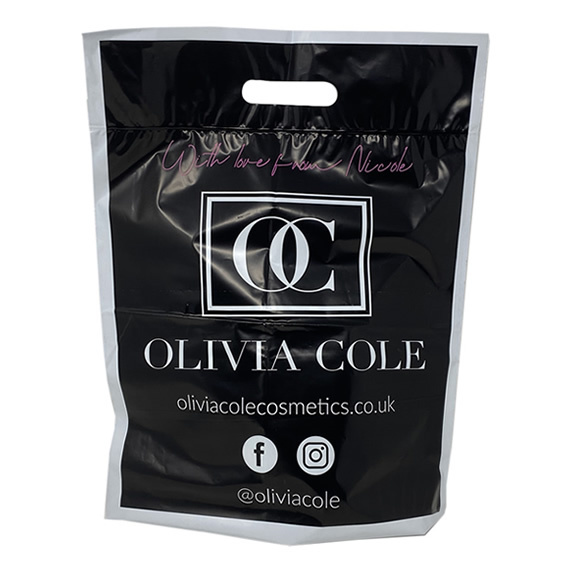 Whether you are an online retailer, offering a click and collect service to your customers or would simply like professional mailing packaging consistent with your brand, our printed bag solutions are ideal. When sending high value items or simply wanting to ensure that contents are kept confidential, we offer a number of mailing bag options including stronger material and tamper evident strips to ensure peace of mind. Sending large or heavy items in the post? 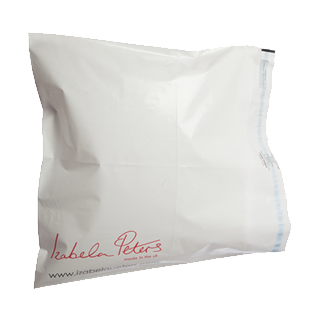 For larger heavier items that need to be packaged and sent we offer Carry Handle Mailing bags that are made from strong co-ex material, and feature a handle to allow easy handling and carrying of the bag. 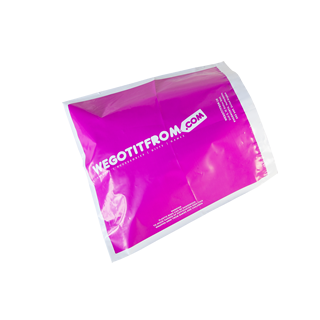 To get a quote and customise your own printed mailing bag please start building your mailing bag using our online quotation tool or call one of our customer sales team who more than welcome to help you on 01438 742890.